One of the most volatile areas of conspiracy is in healthcare, and most specifically those who campaign for vaccinations. The assertion from these gullible parents is that pharmaceutical companies come with moral high-grounds that lack profit motives. The truth proven by sheer history is that these companies are chartered to do the least amount of clinical testing before pressuring the world to consume their new found treatment. It would not surprise any of you that fast-food establishments do not have high moral grounds. They prepare food with the cheapest of ingredients, then conspire to convince you through advertising that their products hold the gateway to an enjoyable life. It is safe to say that few parents, even those who are pro-vaccinations, would not feel guilty for depriving their children of a Big Mac or Whopper. Pharmaceutical companies have managed to conceal their profit driven objectives within the confines of hospitals, which exude this notion of meaning well. The reality is that healthcare facilities are riddled with anti-patient practices on a second by second basis. They charge ungodly amounts of money for pain killers like aspirin, and demand that an overnight stay in their building cost a years mortgage. Yet we the citizens of this planet have been conditioned to believe that the rates are justified due to other inefficiencies within the organization that drive up prices for other non-related services to the patient being gouged. The pharmaceutical industry learned many moons ago that creating cures was the least efficient method for generating profit. A cure is something that only a sick person takes, and lets face it, there are far fewer people getting sick, than walk around healthy. Cures are also relegated to what can be patented and billed to the patient. If a glass of water cured cancer, that cure couldn’t be patented, so it would never be marketed by the hospitals and pharmaceutical companies that have cancer “treatments” that extend over a prolonged period of the patients life. The initial non-cure strategy of pharmaceutical companies was the serendipitous discovery of post-illness treatments. As with all races to find a cure, the medical organizations of the world in the days of ethical endeavors, developed methods to slow down or in some rare cases to halt the spreading of a particular illness. Over time the amount of revenue generated from this strategy dwarfed the final monetary gain of releasing the cure. Let’s face it, cures have to sit and wait for patients to get sick, and the more we discover about how a patient gets the illness in the first place, the smaller that target market gets. What if you could create a “medicine” that could be administered to every single human on Earth regardless of their state of health? A medicine that is embedded by law in many areas of the world, and made mandatory to attend school, go to work, and simply exist as a free being? This is the fundamental profit model of vaccinations. 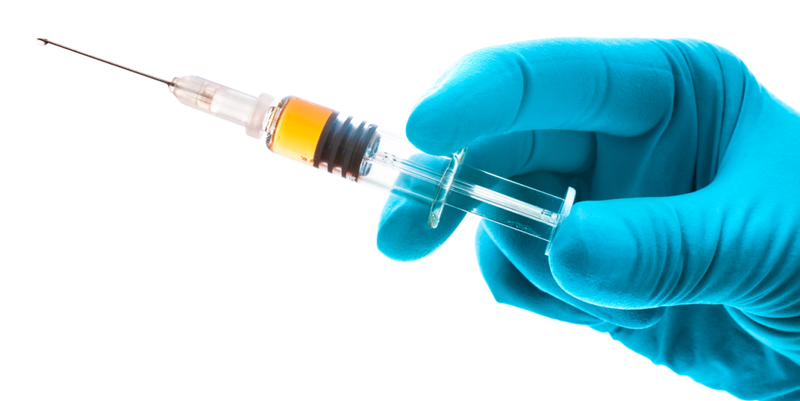 Vaccinations operate on the ethical principle of creating antibodies within a human’s blood supply before they come in contact with a particular illness. In the case of the poliovirus, a small dose of the virus is introduced into the bloodstream and typically absorbed through the tonsils and gastrointestinal tract. This leads to a development of antibodies capable of protecting the person for their lifetime, although some rare post-immunization breakouts have been documented. Sounds great right? Why not do this every place we can? Let’s continue. What started out as a race to save humanity from viruses and bacterial infections that killed man prior to water sanitation, better hygiene, and a knowledge of basic nutrition, has turned into a profit based system that lacks any control mechanisms. Even parents that are duped into promoting vaccinations will admit that our politicians are bought off by numerous pharmaceutical lobbyists, but somehow maintain this infallible code of ethic to ensure their child is never harmed. The truth is that these companies play games with your wellbeing and have for the last half century. Vaccinations are driven by the profit model that once developed and marketed will become the moral basis for being a good parent. The gullible parents of the world with zero medical backgrounds, armed with YouTube expertise in medicine, will not only purchase these shots, but go on crusade level campaigns to convince the rest of the world to do the same. They will in many cases escalate their new found righteousness into physical threats to forcibly vaccinate their neighbors children with a religious like fervor that they have the god given right to decide how your child is taken care of, and all of their scientific evidence has come from a marketing department of a pharmaceutical company brochure handed off by their pediatrician who gets a monetary kickback for the recommendation. The immoral doctor who is buying his second lakeside cabin will used ridicule and name calling to ensure his mistress hideout is finished by Spring. The very basis for all the marketing that surrounds vaccinations is that the human genome is broken. Despite surviving millions of years of evolution, humans need pharmaceutical products to simply exist healthy. Never mind that all the humans prior to this sudden medical theory lived long healthy lives. Mummies around the globe from all walks of life often had all their teeth, lived well into their 70s and 90s, the big pharmaceutical companies have convinced the lower IQ population that we need their help. Nothing could be further from the truth. Vaccinations have been known to cause more ill effects than they solve. Vaccinations against chickenpox have led to adults getting painful shingles later in life, because they never created the resistant antibodies developed during a full chickenpox breakout. Vaccinations against mumps and measles have resulted in a rise in ovarian cancers due to the lack of antibodies developed as a result of catching mumps and measles during childhood. Vaccinations violate the very design of our evolution. If you’re religious, it could be asserted that God didn’t make us flawed and in need of any of these treatments. Consequently, it should be noted that isolationists religious cults and sects lack any of these modern illnesses derived from patients who take vaccines. Something to think about. Another growing mental condition of parents who’ve harmed their children with these vaccinations is the inability to cope with their ignorance. One might think that a parent who had a healthy child who suffers immediate convulsions after a round of vaccinations might be an adversary against the treatment that under any scientific cause and effect would be routed out as the cause of their child’s sudden mental demise. However, the pharmaceutical companies are now discovering that these parents are becoming ultimate advocates of the programs to ensure that their own accountability for killing their child’s mind is never dealt with. As we’ve noted before, vaccinations are responsible for this sudden surge in mentally impaired children who are then diagnosed with autism, Aspergers, attention deficit disorder, and many other modern ailments that fuel the need for vaccinations. These false diagnoses are used to offset the legal accountability by first the hospitals and eventually the pharmaceutical companies that lobby to ensure that their legal accountability is to be erased if the vaccination is mandated by the state of its patient. The final smoking gun for the medically illiterate is the preponderance of pharmaceutical lobbyists that ensure that their profit based products are consumed by the masses. In recent decades the level of legal movements are alarming. The World Health Organization or WHO has been inducted in more than 35 states in America with the authority to demand vaccinations, and this is only in the United States. Bureaucrats from a foreign country can now harm citizens globally with their lobbied uninformed decisions. We all know the ridiculous panic that tested their abilities with the H1N1 virus. A ludicrous moment in vaccination alarmism that has resulted in hundreds of patients developing not only the H1H1 virus, but nerve disorders that they will live with for the remainder of their lives. Bottom-line, cures are the only ethical charter for mankind. Vaccinations are profit driven crapshoots with the human genome. We at OnePageNews will not be vaccinating our children. Your decision has now been informed. Do research outside of their propaganda marketing bubble that is big pharma and hospital circles, and try to understand that man survived thousands of centuries with none of the above. Remember that pharmaceutical companies have no moral high-ground. Their tactic is to convince you that you’re broken and in need of their emergency treatment. Never mind that during the decades of history without them, we had very little in the way of outbreaks in the areas of their treatments.